This LCD Screen is a great addition to lots of Arduino projects as well as many other projects. The screen is blue with white characters and has a backlight. This converter can be soldered directly to a standard 1602 LCD screen to convert it to the more convenient 2 pin serial (I2C) used in many Arduino projects. There is a removable jumper to allow connection with both backlit and non backlit screens. There is also a potentiometer to ajust the brightness/contrast of the LCD. 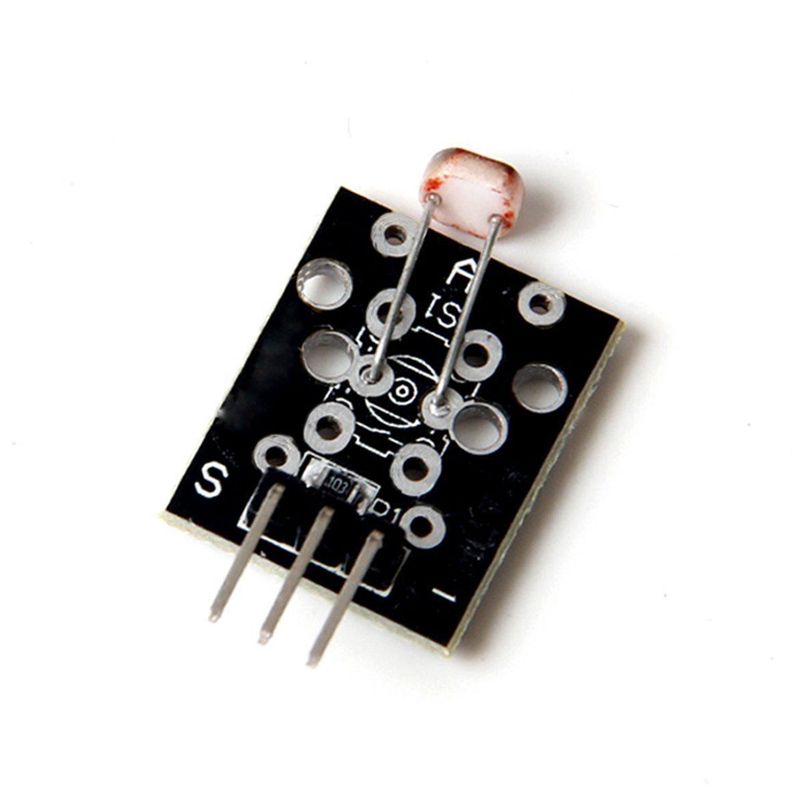 This module has a light dependent resistor (LDR) that will change value (resistance) depending on how much light there is on the sensor.